“Whey”ing your options – Finding your own way to use Whey! Not making Cheese this month is making me antsy so it was reading a nursery rhyme to my daughter made me think of something cheese related I could post about. Little Miss Muffet sat on her tuffet, eating her ‘curds and whey’. Yes the by-product of cheese making can be eaten with your curd, or even drunk. The first few cheeses that I made I poured this wonderful liquid down the drain wasting the potential uses that were contained within. Then I woke up to the possibilities of what I could make and do with this sweet and savoury gift from the milk that has given me my cheese. There are several applications of whey that can help you with cheese making and with every day things in your house. I have tried several of these and others I have researched and are on the list of must try. 1. You can make Traditional Ricotta. Ricotta literally means “re-cooked” and is technically not cheese , this process involves heating the whey and sometimes adding some whole milk and a bit more acid (vinegar) and you will get light fluffy Ricotta. You can then use it in desserts, savory dishes or make a lovely spread (I will post this recipe later). You want to make your Whey Ricotta within three hours of your make to get the best results. But you will notice you still have whey left over after making Ricotta. 2. Make a brine solution with your left over whey. 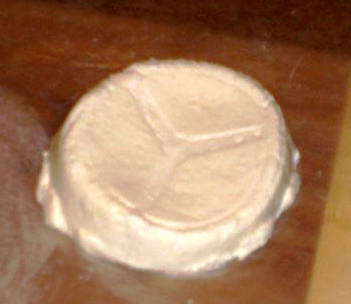 Certain cheeses require time in a brine bath; this can be made using whey. Follow your directions to make your saturated brine, but substitute whey for your water. You should strain your whey first to get all the little bits of curd out. I usually add a teaspoon of vinegar to the brine to even out the acidity. Store your brine in a container in the freezer in between uses. 3. So you don’t like Ricotta and you already have brine made, but you still have whey left over. Strain your whey through a coffee filter and then you can add it to fruit juice and voila you have a protein drink. You could add some sweetening and drink as is. 4. If you have enough you can run it through a milk separator and you will get what is called “Whey Cream” you can then make “Whey Butter”, it will be Tangier than “sweet cream butter”. 5. Still not your thing? Ok then you can cook and bake with it. You can use it as a soup stock if you like the flavour, or you can use it in baking recipes instead of milk. Apparently you will use less yeast with whey bread. Note that the whey will contain all the ingredients you put into the milk, so use your judgement or you might have blue cheese tasting bread or soup. 6. Well still the thought of consuming this kind of makes you queasy? Then your plants will take the burden for you. Acid loving plants like Raspberries, Strawberries and Tomatoes will love to have this wonder food given to them. This year I fed my Tomato plant a steady diet of whey left over from my Father’s day Cheese Making. I have some really big Tomatoes on the vine and they are getting ready to be picked. 7. You could use it to feed Chickens and pigs, they will love this mixed in with their feed. One of the Cheddar producers in England uses the whey to make butter and sends the rest of the whey to their pigs. 8. Still this does not seem appealing to you, well save some of it. As I stated before it contains starter cultures, all other ingredients you put into the milk. So what does that tell you? You could use this to start your next cheese. It is a great deal of work and you will have to tinker with your recipes to make it work. There are some cheese makers in Italy that save the whey from the day’s cheese and use it to start the next day’s batches. They have been doing this for hundreds of years and make it look simple. Why not go mad scientist and give it a try. 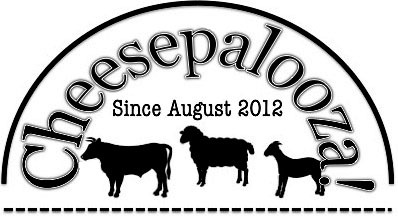 ← No Cheese Making for you July! Make do with what you have. awesome! I knew of some of those uses but not the watering some plants with it! Good to know! I even used some on my chillies too and it looks like I will have enough for some hot sauce. I love the part about cheese makers using the previous day’s whey to make cheese. Reminds me of traditional bakers throwing the scraps of dough into the bin to ferment and sour and then using it to leaven the next day’s bread. I have been reading up on that method, it seems a little complicated, but I really want to try it. I saw a video about traditional Parmesan making and they were doing this. What fantastic information. I am getting a little more than a little overwhelmed, but am good at organizing and at projects. You may be, too – but you are exceptional at making cheese! I am linking this to our information site for future reference. Ah here are the uses for my leftover whey.. 😉 Not sure if I’ll be using any of them but it’s good to know i do not have to throw it away! I highly recommend using the whey for brine, I have done this in the past and I have had some quality cheeses as a result.